NCVH California - Changing Paradigms in Vascular and Venous Therapy: An Update on New Technology and Pharmacotherapy Options is organized by New Cardiovascular Horizons (NCVH) and will be held on Apr 27, 2019 at Embassy Suites by Hilton Napa Valley, Napa, California, United States of America. The target audience for this medical event is Family Physicians, General Practice Physicians, Primary Care Providers, Internists, Cardiologists, Interventional Cardiologists, Vascular Medicine Specialists, Podiatrists, Cath Lab Technologists, Residents/Fellows, Physician Assistants, Advanced Practice Nurses, Nurses, Allied Health Professionals and Healthcare Administrators. Statement of Need/Program Overview: Changing Paradigms in Vascular and Venous Therapy: An Update on New Technology and Pharmacotherapy Options will focus on new technologies and therapies for diagnosing and treating Vascular and Venous Disease, Pharmacologic Therapy and Peripheral Artery Disease (PAD). Learning Objectives: • Understand a comprehensive overview of the venous and vascular system for the everyday practitioner. • Recognize diabetic vascular complications and determine best practice evaluation and management. • Evaluate novel anticoagulants and their role in the treatment of DVT and pulmonary embolus. • Analyze current and new technology available for vascular patients. Educational Highlights: New Technologies and Therapies for Diagnosing and Treating: • Current Trends in Vascular Medicine • New Technologies for Venous Disease • Endovascular Treatment of Peripheral Artery Disease • Pharmacotherapy Update and Management Additional details will be posted as soon as they are available. 16th Annual Northern California Case Management and Transitions of Care Conference is organized by American Case Management Association (ACMA) and will be held from May 28 - 29, 2019 at The Meritage Resort and Spa, Napa, California, United States of America. Additional details will be posted as soon as they are available. California Society of Dermatology and Dermatologic Surgery - CalDerm Symposium is Organized by CalDerm - California Society of Dermatology and Dermatologic Surgery and will be held during Jun 14 - 16, 2019 at The Meritage Resort and Spa, Napa, California, United States Of America. The target audience for this medical event for Dermatologists. Additional details will be posted as soon as they are available. Pacific Coast Society for Prosthodontics (PCSP) Meeting is organized by Pacific Coast Society for Prosthodontics (PCSP) and will be held during Jun 19 - 23, 2019 at Silverado Resort and Spa, Napa, California, United States of America. Additional details will be posted as soon as they are available. 2019 Diagnostic Pathology Update is organized by United States and Canadian Academy of Pathology (USCAP) and will be held from Jul 07 - 12, 2019 at The Culinary Institute of America at Copia, Napa, California, United States of America. This CME Conference has been approved for a maximum of 33 AMA PRA Category 1 Credits. Course Description: USCAP is a transformative leader in pathology education, creating better pathologists with updates in relevant information requisite for their performance and professional growth. The Academy is sensitive to the personal and cultural needs of practicing pathologists by providing conferences that welcome them with their family to enticing venues at which they are enriched with new knowledge and unusual experiences. The 2019 Diagnostic Pathology Update combines expert subspecialized, academic faculty with exposure to culinary excellence at a world-class facility in California’s celebrated Napa Valley. USCAP is changing the way we learn by transposing the learning environment and continuously elevating the quality of content. Wine, culinary arts and medicine are intuitive life partners that will take you to a place you’ll never forget. Course Objectives: • Update diagnostic criteria for particular lesions occurring at various body sites • Apply immunohistochemistry and genetics to the analysis and classification of specific disease entities • Understand concepts of quality and patient safety referable to managing and disclosing errors, root cause analysis, and use of quality tools to improve performance in the laboratory, particularly in anatomic pathology • Understand the role of nutrition in disease prevention and healthy living Additional details will be posted as soon as they are available. Biotech CEO Summit Napa 2019 is organized by Demy-Colton and will be held from Jul 08 - 10, 2019 at Napa, California, United States of America. Description: The program includes fireside chats, case studies and group discussions that address a range of global issues key to biotech CEOs and their companies. The Summit format facilitates engagement, discussion, and interaction with and between all CEOs. The topics are identified in consultation with the advisory board, and include discussions on strategy (asset selection, collaborations, market approach), financing (public and private), communications to all audiences (shareholders, investors, board of directors, patients, regulatory bodies, and team), human resources (board and team development and management), and lessons learned during make or break situations. Additional details will be posted as soon as they are available. Neurovations Education 26th Annual Napa Pain Conference (NPC) is organized by Neurovations Education and will be held from Aug 15 - 18, 2019 at The Meritage Resort and Spa, Napa, California, United States of America. This CME Conference has been approved for a maximum of 27 AMA PRA Category 1 Credits. 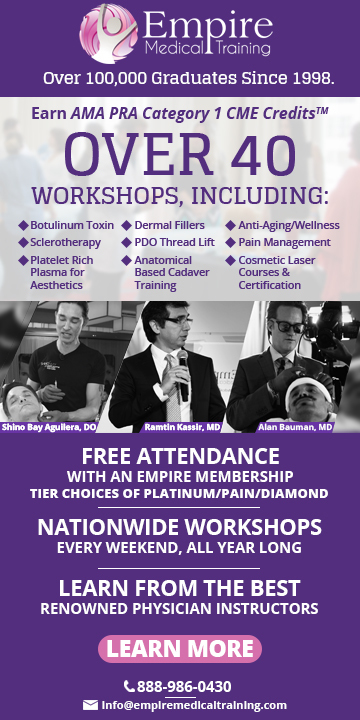 Pre-conference Workshops: Aug 15, 2019 Conference Description: In this conference they provide unparalleled networking with leaders in clinical practice, research, and industry. 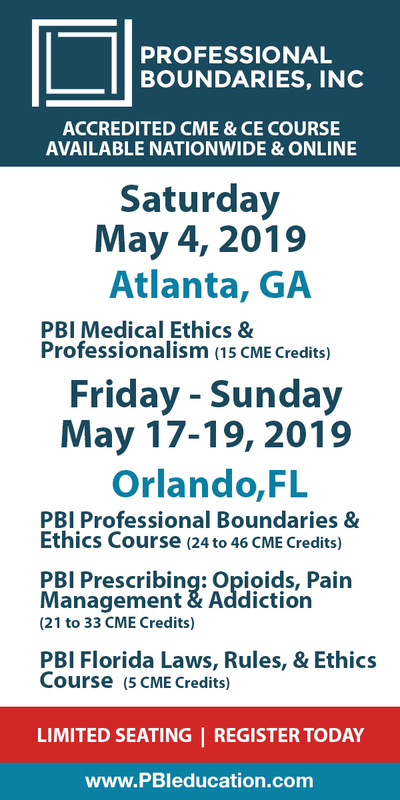 Enjoy a unique setting, and a program presenting the latest scientific research and advances in the field of pain management. Innovation happens here. Pre-conference Topics: • Regenerative Medicine • Cancer Pain • Building a Medical Business Additional details will be posted as soon as they are available. 20th Annual Fall Conference on Integrative Medicine in Women's Health is organized by Symposia Medicus and will be held from Sep 04 - 07, 2019 at Napa, California, United States of America. Additional details will be posted as soon as they are available. The Genetics of Heart & Vascular Disease is organized by Mayo Clinic and will be held from Oct 10 - 12, 2019 at The Meritage Resort and Spa, Napa, California, United States of America. Intended Audience This course is intended for both pediatric and adult cardiologists, internists, primary care providers, and pharmacists, and nurse practitioners with special interest in the management of patients with genetic heart and vascular disease, pediatric and adult cardiology trainees, PAs and genetic counselors with an interest in genetic cardiovascular medicine. Credit: AMA PRA Category 1™ - 15.75 MOC - 15.75 Overview During this 3 day CME course, experts in the field of cardiovascular genetics detail the important role of genetics, genomics, and pharmacogenetics in the diagnosis, risk stratification, and treatment of diseases affecting the heart and the blood vessels. Topics covered will include, Genetics Genomics 101, pharmacogenetics, polygenic risk scores, variant interpretation, the molecular autopsy, and the diagnostic, prognostic, & therapeutic implications of genetic testing for patients with congenital heart disease, long QT syndrome, Brugada syndrome, hypertrophic/dilated/arrhythmogenic cardiomyopathy, coronary heart disease, hyperlipidemias, heart failure, pulmonary hypertension, cardiac amyloid, and the aortopathies. Unique Features: Audience response system to enhance immediate feedback. Easy access to faculty members. One-on-one interaction. Efforts will be made to introduce the clinical applications using new technology, however, there is no hands-on experience provided. Self-assessment questions to gauge outcome. A special workshop will be conducted to analyze a genetic test report and to comment on the significance of genetic test results from your patients. Course Learning Objectives Upon conclusion of this program, participants should be able to: • Summarize the probabilistic nature of genetic testing and develop a strategy to manage the variant of uncertain significance (VUS) test result • Identify the impact of genetic testing in the diagnosis, risk stratification, and treatment of patients with heritable cardiomyopathies, channelopathies, pulmonary hypertension, cardiac amyloidosis, and aortopathies • Determine the role of genetic testing in children and adults with congenital heart disease • Define genetic markers of atherosclerosis and the role of genetic risk scores (GRS) in risk stratification of coronary heart disease • Identify the genetic basis of heritable lipid disorders and implications for prevention and familial screening • Define the role of genetics in cardiovascular drug response and to utilize genetics to minimize adverse events and maximize drug efficacy Time: 7:00 am - 12:15 pm Additional details will be posted as soon as they are available.